I find it difficult to be too harsh with this movie knowing the struggles they went through after the untimely death of one of their lead roles, Paul Walker. But, I will do my best to keep that out of it. 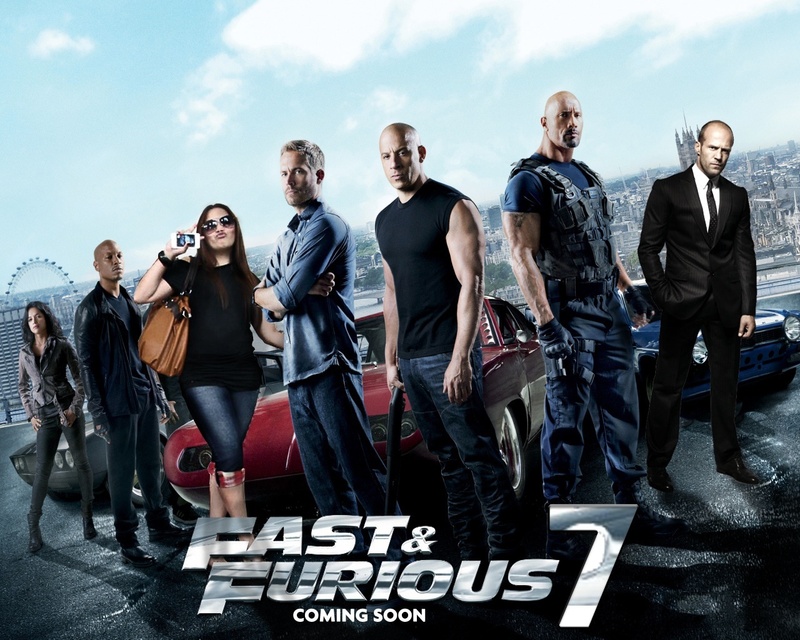 Furious is the 7th installment in The Fast and The Furious franchise, and 3rd since they switched over to heist movies. Since fast 4 they have been becoming more like expendables in their all star cast, riding off of the wow factor of the big names and faces. At first it was just cool to see all of your favorite people from the past movies in one, now its normal and they can’t ride on that anymore. I’ll be honest i was not excited to see Jason Statham in this as i am far from a fan of his, but now a days he fits this series well. What i was excited to see was Dwayne Johnson and awesome, over the top car scenes. Pretty much all of which for both we saw in the preview. Now again, i know the troubles this went through so i cant blame them too bad for the plot being all over the place, but at the end of the day you still have to watch the movie and its noticeable. Will i watch Furious 7 again? Yes, i love this series. Will i watch almost any other Fast and Furious movie before this one? Also yes.